The documentary, directed by Tadashi Nakamura, is about the power of art, Hawaiian culture and youth. The votes have been tallied, and the winner has been declared: congratulations to 2016 CAAMFest San Jose Audience Award Winner, Mele Murals, directed by Tadashi Nakamura (Jake Shimabukuro: Life on Four Strings)! The film was CAAMFest San Jose‘s Opening Night film. 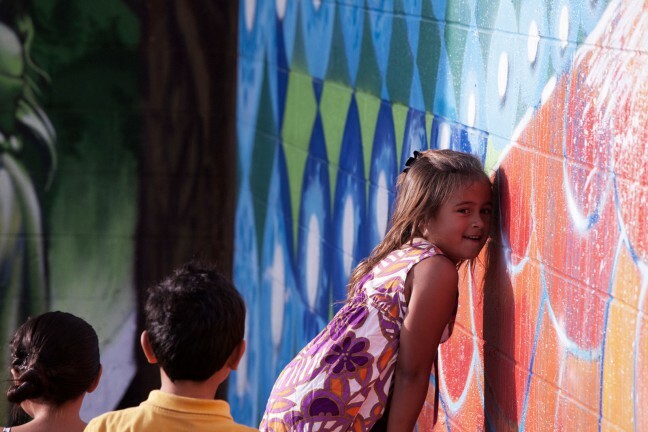 The documentary follows two graffiti artists, Estria Miyashiro and John “Prime” Hina, as they work with local youth in the town of Waimea, using street art and Hawaiian culture. 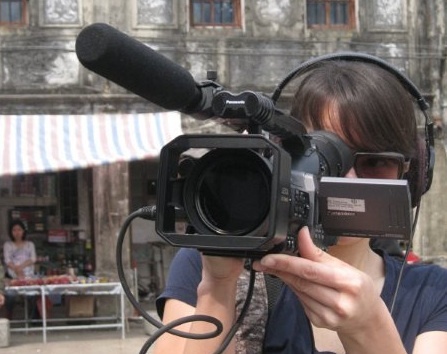 The inspiring and surprising film shows the power of art and storytelling to connect multiple generations. 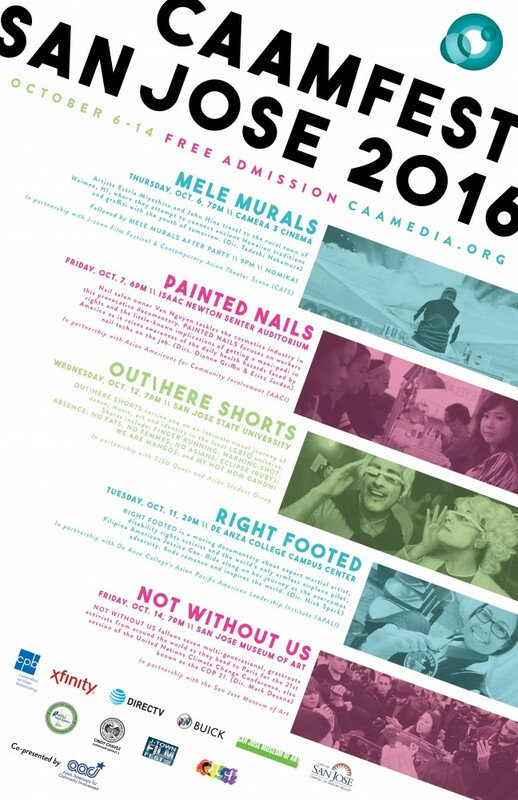 Mele Murals is a CAAM-funded film, and will premiere nationally on PBS in 2017. 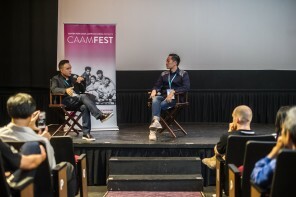 CAAM would like to thank our wonderful attendees, filmmakers, CAAMFest San Jose advisory board members, sponsors, and our co-presenter of the festival, Asian Americans for Community Involvement (AACI). Allen Chiu, Deputy District Director, Office of Assemblymember Evan Low, District 28; Mrs. Daisy Chu; Kansen Chu, CA State Assembly, District 25; Rose Dhaliwal, Council Assistant, Office of Vice Mayor Rose Herrera; Adrianna Garewal, Field Representative, Office of Assemblymember Nora Campos, District 27; Sherrill Ingalls, Director of Marketing and Communications, San Jose Museum of Art; Reiko Iwanaga, Executive Director, Contemporary Asian Theater Scene (CATS); Duane Kubo, Festival Director, San Jose J-Town FilmFest; Ron Muriera, Commissioner – District 7, San Jose Arts Commission; Mindy Nguyen, Council Assistant, Office of Councilmember Ash Kalra, District 2; Tam Nguyen, San Jose City Council Member, District 7; Khanh Russo, Sr. Policy Advisor, Director, Office of Strategic Partnerships and Innovation, and LGBT Liaison, Office of Mayor Sam Liccardo; Shireen Santosham, Chief Innovation Officer, Office of Mayor Sam Liccardo; Edwin Tan, Ph.D., Director of Advocacy, Asian Americans for Community Involvement (AACI); Ann Marie Tran, Advocacy Program Coordinator, Asian Americans for Community Involvement (AACI); Ann Woo, Director, International Performing Arts Center .